If you have XITv, you’ve got Video on Demand! Video on Demand, VOD, On Demand or Movies on Demand, it’s all the same thing. It’s instant entertainment in the comfort of your living room. XITv’s Video on Demand library is packed with hit movies for you to choose from. You’ll find Hollywood’s biggest blockbuster movies and all your favorite movies. Our FREE on Demand includes free movie offerings, children’s programming and Karaoke music available when the time is right for you. It’s TV on your schedule. Video on Demand lets you pause, play, rewind, and fast-forward because you’re in control. And, with Video on Demand there’s no video store, no late fees, no driving expense, no expensive snacks, or waiting in line. It’s just great new hit movies that you can see while they’re still new! 28 Days before Netflix or Redbox. Video on Demand features many new release movies that are available from XIT 28 days before Netflix® and Redbox®. And, many blockbuster movies will premier on Video on Demand the same day that they come out on DVD. Explore our VOD menu and then sit back, relax, the movies are all right here in your home with XITv’s Video on Demand! Watch a movie preview, right NOW! XITv’s FREE on Demand category offers more entertainment for your family to enjoy. It includes programming for children, The Karaoke Channel for the music buff in the family, fast action from Caught on Demand and much more! Enjoy hours of family fun with XITv’s FREE on Demand Karaoke. 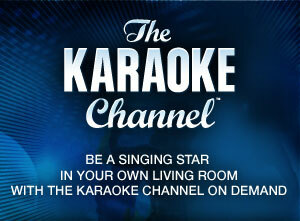 Music from The Stingray Karaoke Channel features the greatest hits of all times for you to sing along with! There’s no need to rent a karaoke machine or buy CDs, it’s all right on your TV in your living room.